While most of us are aware that the hot summer months can be a dangerous time for children and the elderly, it is important to think about our pets as well. 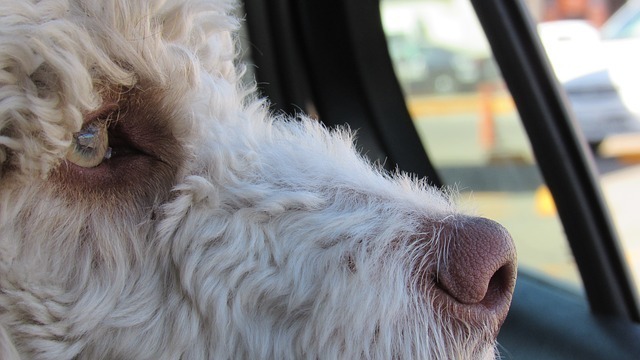 Many motorists have a habit of leaving pets in their cars while running errands. Even with the windows cracked, this can be a deadly decision. The temperature inside a vehicle rises 20 degrees in just ten minutes. Even on a relatively cooler day, the temperature inside the car can rise much higher than the temperature outside. This happens on sunny days as well as cloudy days. Studies have shown that cracking the windows does little to stop the temperatures from rising quickly. If you are driving somewhere that will not allow you to bring your pet inside, please leave them at home where they can happily await your return in the air conditioning and remember to always travel with water for your furry friend. In North Carolina, cruelty charges are probable for owners found guilty of leaving any animal in a confined, dangerous condition. Call 911. Any rescue worker (police, animal control, firefighter, animal cruelty investigator, etc.) has the legal authority to enter the vehicle if the animal is believed to be in danger. If you believe the animal to be in imminent danger and help has not arrived, you should use your best judgment (considering the possible legal ramifications of breaking and entering) to save the pet.